The worst part about playing darts is that when you miss—it can damage not only your ego, but also the wall behind the dartboard if it's not protected. 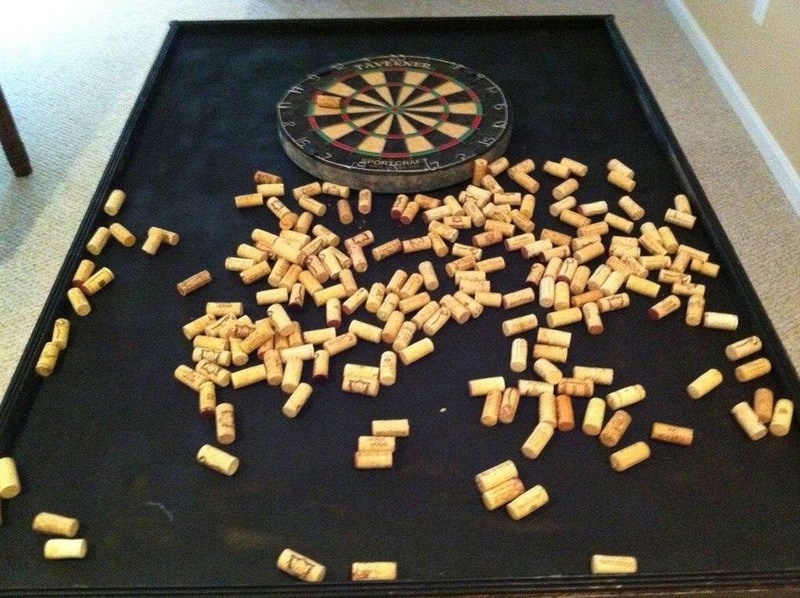 Redditor mavantix found a solution to this problem in wine corks. 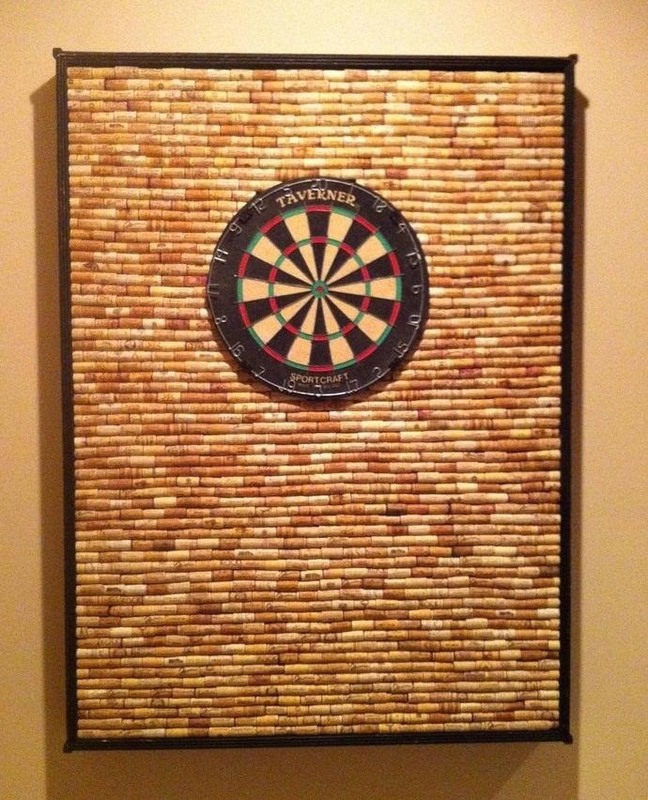 Over a year, he collected over 1,000 corks from family and friends to make this DIY Cork Dartboard Cabinet—that's a lot of wine! 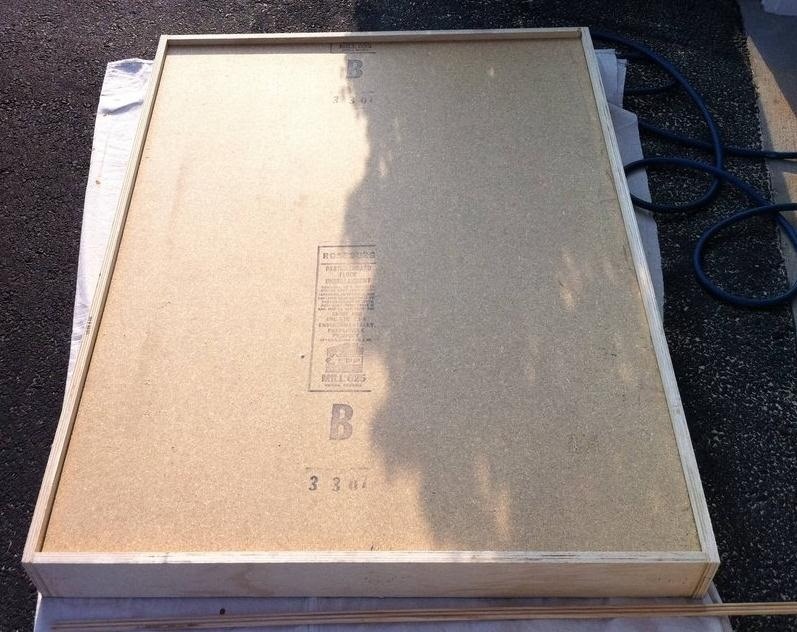 After assembling a frame from scrap pieces of wood, he added trim and spray painted it black. The most time consuming part was gluing down all of the corks (he used 8 tubes of glue! ), and let's not forget collecting the corks. The final product is a cheap, easy to make cabinet that will protect the wall behind a dartboard and look pretty good doing it. Check out mavantix's post for more details if you'd like to make your own. If you don't know any wine drinkers or just want to speed up the process, you can buy corks online super cheap. Your local crafts store will surely have some, too. If you have any left over, we've got tons of ideas for how to use them. They make great fire starters, and you can learn a lot about a bottle of wine by looking at the cork. 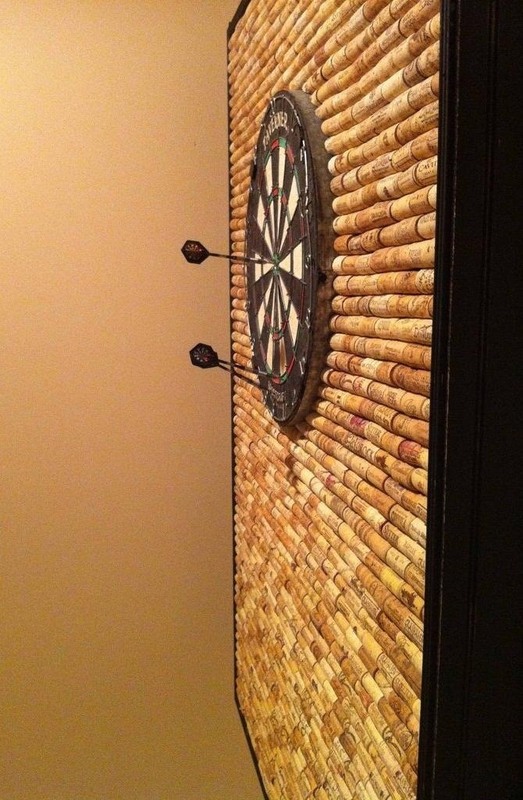 How thick does the cork (wall) need to be behind the dart board for protection? If you don't use wine corks.